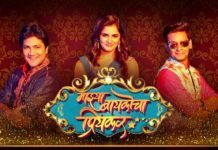 Vitthala Shappath Review: Mangesh Desai Stands Out in the midst of all Chaos! Vitthala Shappath is a film that fails on so many levels that it is impossible to remember all of them. To start with the most basic flaw is the hero itself. It seems like Marathi audiences should now develop the habit of accepting incompetent actors as their heroes & heroines. However if you still have an appetite for watching good acting you could be rewarded by one or two known seasoned actors in the supporting cast. In case of Vitthala Shappath Mangesh Desai is that reward. No matter how unapologetically pointless the plot of the film is Mangesh Desai manages to be in the skin of his character throughout. I was reminded of veteran actor-singer Vasantrao Deshpande’s little part in the cult classic Ashtavinayak. 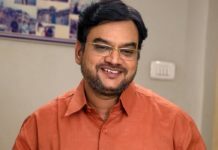 Mangesh Desai portrays a gold hearted father to our incompetent hero, though Desai’s purpose in the conflict is equally pointless as the film. The most unbearable parts in the film represent a very strong south Indian influence. No not just the songs, & our incompetent hero’s antics, but also the backdrop of land mafia & the political connections. In one of the songs at the background we can notice the poster of Ankush Chaudhari starrer Guru. Guru was unfortunately among the first Marathi films in the mainstream that started employing the south formula in our films. However the audiences have never shown any adulation towards the formula in Marathi especially because our audiences are already consuming the same through different multimedia mediums. Even Hindi cinema learned its lesson & put a halt on manufacturing south formula films at an alarming pace (yes they were at one point). Vitthala Shappath’s another primary failure is that it doesn’t try one bit to get anywhere near the real devotion of Vitthal devotees. A Vitthal devotee has enough Vitthal in himself, that he would never be in a state to fight a war just for building a Vitthal temple. Even if we forgive this error, this whole phenomenon isn’t even strong enough on an emotional level. Yes even Mangesh Desai’s honest performance isn’t good enough to establish the emotional connect. Maybe (just maybe) if this film was riding completely on Desai’s shoulders it had a better chance to make that connect. Another good actor has been wasted in ‘Vitthala Shappath’. Sanjay Khapre as a good hearted drunk lawyer. Honestly I could see a lot of scope for Khapre’s character to be the driving force in the second half. His character of the lawyer who is supposed to save our (incompetent) hero gets a decent amount of screen time to be established. But the shocking part is that we never see how he actually saves the hero. Yes the film skips the whole court battle part, with ubrittled confidence. The music & background of this film matches the chaotic atmosphere of the film with utter dedication. This film has been credited with a number of writers but for many montage sequences it avoids using dialogues suggesting us as if they didn’t really exist in the first place & hence the montage were improvised instead. The film ends on a laughable sad end that again is a poor attempt to reinforce the conflict of the film. I couldn’t really figure out why did the film hints the climax in the opening scene of the film. Not that we care, but let’s assume if an audience is really bothered about the hero & heroine’s future, they must have already predicted it, while making the exercise of going through the runtime pointless. You have to be a die-hard fan of Mangesh Desai to sit through ‘Vitthala Shappath’ & be mildly satisfied by it. You have to be a die-hard fan of Mangesh Desai to sit through 'Vitthala Shappath' & be mildly satisfied by it. 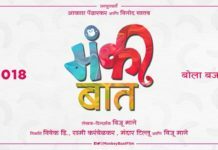 Previous articleTop 5 Marathi Movies of 2017 So Far (First Half)!